3 Checks per Page, 3 up Blank Check Paper. 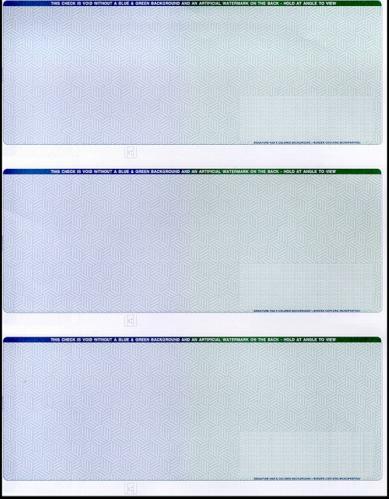 For use in conjunction with Versacheck (check printing software) and many other software packages (check your perforations). 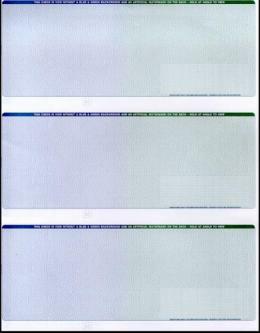 Premium Check Paper 3 Business Checks per Page. Perforations at: 3 2/3" x 3 2/3" x 3 2/3" - This has two perforations.